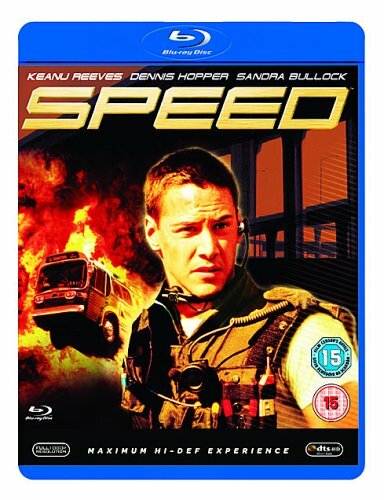 The movie that transformed Keanu Reeves into a bona fide action hero, Speed was also former cinematographer Jan De Bont’s assured directorial debut. It’s an almost perfect high-concept movie that lives up to its title both in the adroit choreography of the action set-pieces and Graham Yost’s taut screenplay, which is admirably stripped of all padding. De Bont further heightens the excitement by his use of authentic locations as the out-of-control bus travels through, across and--in one unforgettable scene--a few feet in the air above the urban sprawl of LA. And instead of relegating the love interest to a dull subplot, here Sandra Bullock is an integral part of the action as she and her bus career around the city at 50-plus miles an hour. Even the opening credits neatly illustrate the film’s title, as does composer Mark Mancina’s pulsing score. Sensibly, Reeves passed on the ill-advised sequel and took on The Matrix instead; both screenwriter and director have yet to do anything better than this. On the DVD: Speed is the kind of movie that was made for the DVD format, and this two-disc special edition does it full justice. The feature is presented anamorphically in its original 2.35:1 ratio with spectacularly vivid Dolby 5.1 or DTS 5.1 options. Jan De Bont provides a commentary, though his solo effort is less engaging than that of chatty producer Mark Gordon and writer Graham Yost who enjoy constantly interrupting each other.